The new installment of the popular exhibition for CEE463: A Social and Multi-dimensional Exploration of Structures is now on display at the Engineering Library. "Creativity of Cuban Thin Shell Structures" tells the story of select engineers and architects who shaped Havana’s architecture of thin shell structures and in some cases defined an authentic style that is creatively Cuban. “Evolution of German Shells: Efficiency in Form,” which celebrates and examines German thin-shell structural continues to be on display on the first floor of the library and is open to the public during library’s open hours. The Engineering Library is located in the Friend Center for Engineering Education on the corner of William Street and Olden Street. 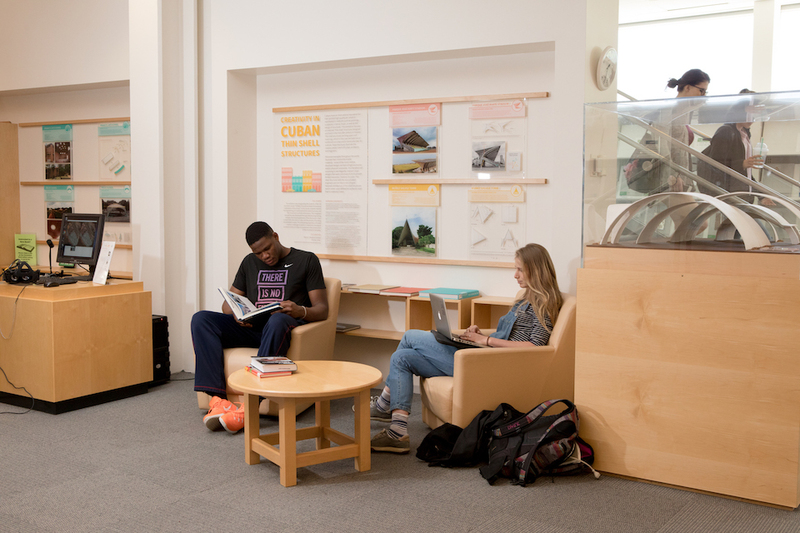 Members of the public may access the Engineering Library when the Friend Center is open Monday through Friday, 8:30 am – 8:30 pm and via the William Street entrance Saturday 9:00 am – 5:00 pm and Sunday 1:00 pm – 5:00 pm.